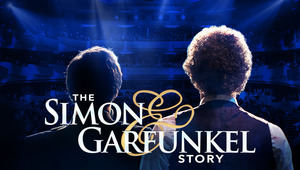 Arts on Tour, the premiere performing artist series in southern Idaho, presentsThe Simon & Garfunkel Storyon Saturday, September 29 at 7:30 pm. Tickets are $38 for adults and $14 for students high school & under. With more than 100 million album sales since 1965, Simon & Garfunkel’s perfect harmonies and songs that poignantly captured the times made them one of the most successful folk-rock duos of all time.The Simon & Garfunkel Story is an immersive concert-style theater show chronicling their amazing journey from their humble beginnings as Tom & Jerry, through their successes, and to their dramatic split in 1970. It culminates with the famous The Concert in Central Park reunion in 1981 with more than half a million fans in attendance. Using huge projection photos and original film footage, the show also features a full live band performing all of their hits, including Mrs. Robinson, Cecilia, Bridge Over Troubled Water, Homeward Bound, and many more.